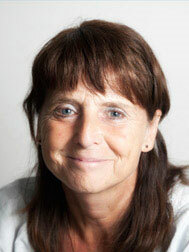 Professor Ann Logan received her BSc from the University of London in 1974 and PhD training in neuroendocrinology at the University of Birmingham between 1975 and 1978. After post-doctoral training at the University of Leeds and in the laboratories of Professor Roger Guillemin and Professor Andrew Baird at Scripps Hospital, La Jolla, CA, she established the Neurotrauma Group at the University of Birmingham in 1990, where she is currently Professor of Molecular Neuroscience and Head of the Neurotrauma Research Group within the College of Medicine and Dentistry. Her research interests centre upon the trophic regulation of injury responses. Her work has generated more than 185 research publications on the roles, mechanisms and exploitation of growth factors in the injured tissues, with particular interests in neurotrauma of the eye. Professor Logan strives to translate scientific advancements into the clinical arena for patient benefit. For her own research, she works closely with both clinicians and companies to initiate clinical trials of novel anti-scarring and reparative drugs. In 2011 a £20M NIHR Surgical Reconstruction and Microbiology Research Centre was opened in Birmingham that incorporates the Royal Centre for Defence Medicine. Within this Centre, Ann leads the Regenerative and Reconstructive Medicine research team and is PI for a number of major £multi-million translational projects related to the clinical development of anti-scarring technologies. This unique multidisciplinary grouping of academics with civilian and military clinician researchers provides an unrivalled opportunity to promote trauma research for patient benefit in the UK. In addition, she is also a founder, director and CSO of a University of Birmingham spin-out company called Neuregenix Ltd, that offers neural drug screening services to large and small pharmaceutical and biotechnology companies.